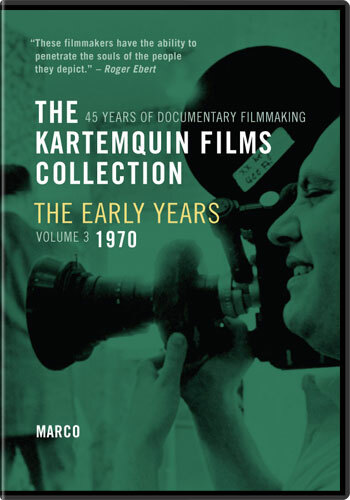 Part 3 of the The Kartemquin Collection: The Early Years, Volumes 1-3. For over 40 years, Kartemquin Films has produced documentaries that examine and critique society through the stories of real people. Their extensive body of work includes such films as Inquiring Nuns, The Chicago Maternity Center Story, Refrigerator Mothers, In the Family andPrisoner of Her Past. Now, in this third volume of a three-part series, you can experience one of the classic films that marked the early years of Kartemquin Films. "Informed with love and filmed with skill…It vividly captures the suspense, humor, agony, tenderness and wonder of a human birth." "A luminous, joyous human document." When the wife of one of the filmmakers decides to give birth without pain medication using the Lamaze method of childbirth–and coached by her own husband–she is confronted with disbelief, superstition and downright hostility. In order to find a doctor who will respect their wishes, the parents-to-be have to make arrangements with a hospital in Wisconsin and race over the state line when the baby comes. This frank and sensitive cinema verité documentary follows the young couple as they learn about natural childbirth, discuss their plans with friends and medical staff, and experience the actual labor and birth of their son, Marco. Music composed by Philip Glass.